This ended up being a strange week around here that led me to take an unplanned few days break from the blog. I also realized how summer is usually the one time of year I make time to read a few books...however I kind of fell off the bandwagon last year. So here is to hoping I can turn that back around this year! Which means there obviously needs to be some beach time planned...because that's when we really all take breaks to actually read! Here are 3 books on my list but I would also love to hear any suggestions you have? The One & Only by Emily Giffin: I love everything Emily Giffin writes. So when her most recent novel hit shelves last month I went ahead and picked up a copy in hopes of turning my reading dry spell around! If you're not familiar she is most known for Something Borrowed, which turned movie. The sequels to Something Borrowed are equally as great and I highly recommend! 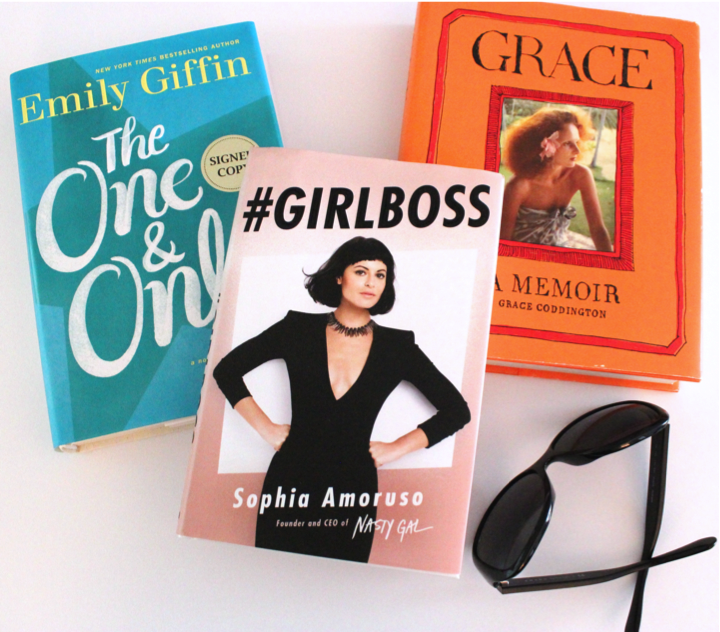 #Girlboss by Sophia Amoruso: Another that hit shelves last month. I started reading this last night and must say so far the reviews are on point! While more of a business book...I think this is a great book for any girl to read! Grace: A Memoir by Grace Coddington: While I know you've probably all heard of this one, and many of you have read it, I still need to! I started last summer (as in read a little over a chapter then fell asleep on a plane) and never took the time to finish! Anything great that you've read lately and would recommend? Or what is on your summer list?